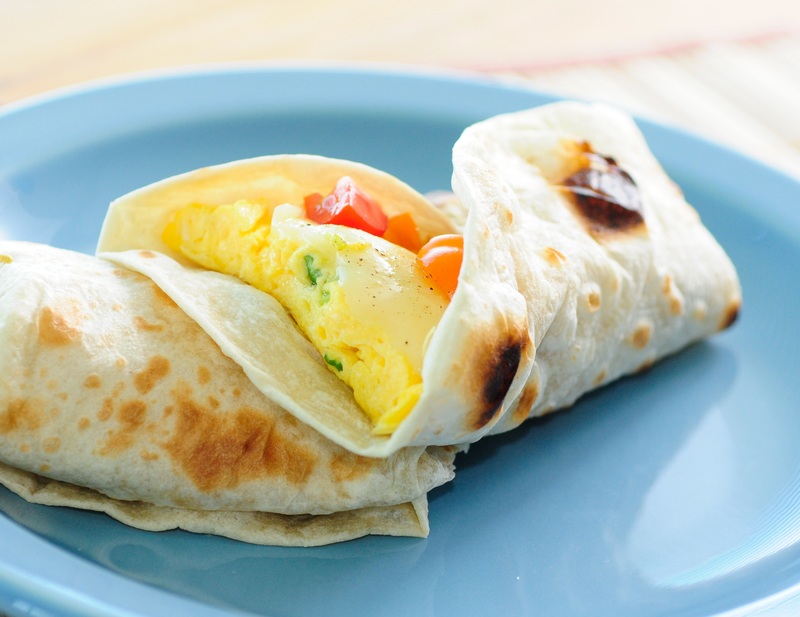 Wrap up breakfast, lunch or dinner with peppy veggie-egg fajitas. Beat eggs and milk with fork; set aside. In 12-inch skillet, melt margarine over medium-high heat. Cook bell pepper, onion and seasoning mix in margarine about 4 minutes, stirring occasionally, until vegetables are tender. Remove vegetables from skillet; keep warm. Reduce heat to medium; pour egg mixture into skillet. As mixture begins to set at bottom and side, gently lift cooked portions with spatula so that thin, uncooked portions can flow to bottom. Cook 3 to 4 minutes or until eggs are firm but still moist. Spoon one-fourth of the egg mixture onto center of each tortilla; top with vegetables. Fold right and left sides of tortilla over mixture, overlapping. Top each fajita with 2 tablespoons salsa..